Info- Raja Ampat- the center of global marine biodiversity. If you haven’t yet visited the Bird’s Head Seascape Archipelago, then stick it on your bucket list now. Raja Ampat is as gorgeous underwater as it is above, with some of the most pristine coral reefs still on Earth. It also happens to be the home of both species of manta ray, living in mosaic sympatry throughout the region. 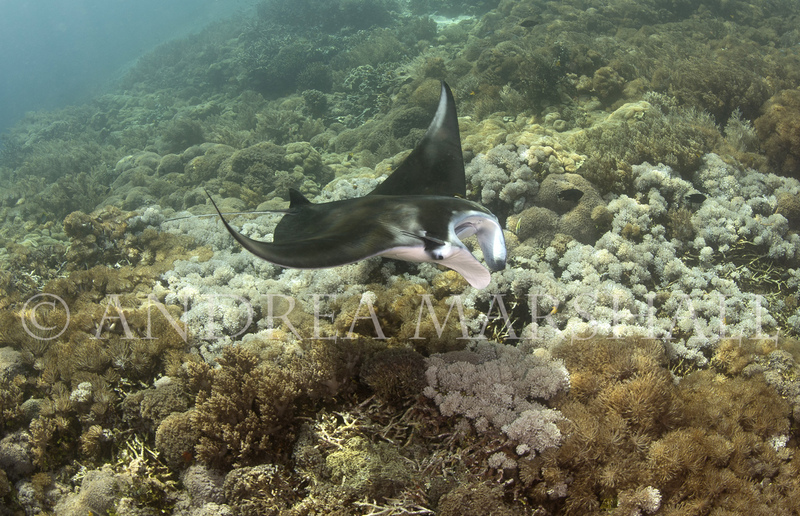 Like Komodo, manta rays are found at particular aggregation sites throughout the park. In some areas you can encounter reef mantas swimming lazily around shallow sandy channels, others you can have awe-inspiring interactions with giant mantas visiting deep water coral reefs.